When the owners of this converted pub in Bury St Edmunds in Suffolk approached the Cambridge Conservatory Centre, they were looking to add a light filled space that would not only allow them to admire their garden but also to access it directly from their living space. Like many pubs of its era, the rooms on the ground floor, while large and spacious, were somewhat dark with limited access to the outdoors. As their home had many traditional features, it was important to create a space that was in keeping with the architecture of the house but that would also modernise the way they lived. 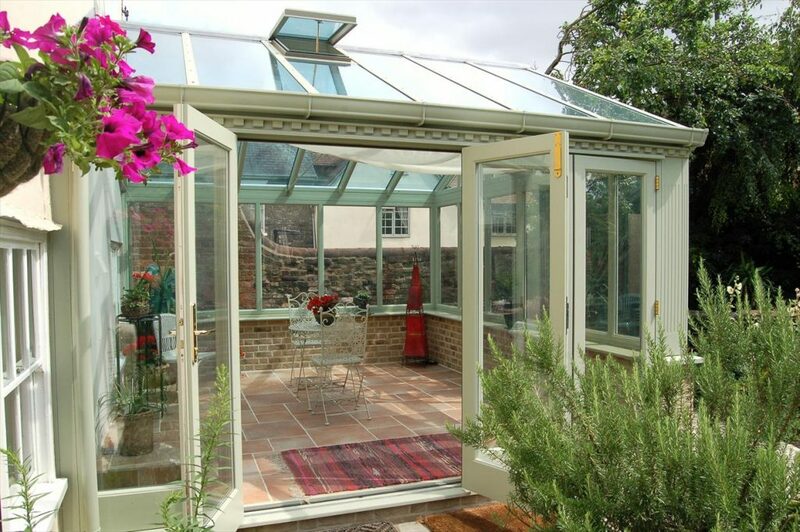 We were happy to oblige and designed a conservatory that would sit harmoniously with the building while making a statement all its own. 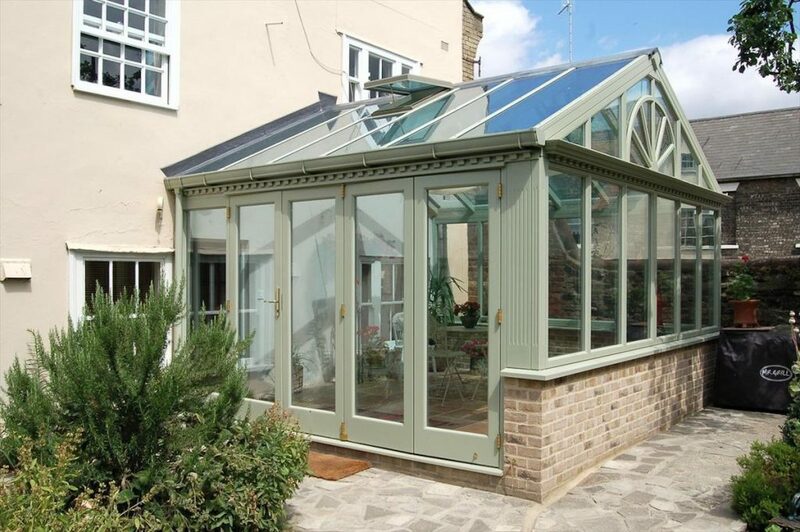 With fluted side panels, dental moulding and a decorative window, this conservatory has a style worth envying. But its not only beautiful – its practical too! Roof windows open with the help of a long handled crank ensuring anyone can operate them with ease. This simple ventilation allows fresh air to circulate by bringing a soft breeze inside even on the hottest days. And on a humid and drizzly Bury St Edmunds day, the roof windows can be opened to the perfect angle to allow for ventilation but without letting the rain get in. As direct access to the garden was part of the brief for this gorgeous conservatory extension, we designed a set of folding doors that allow one entire wall to ‘disappear’ generating the feeling of sitting in the garden while being protected from the weather. 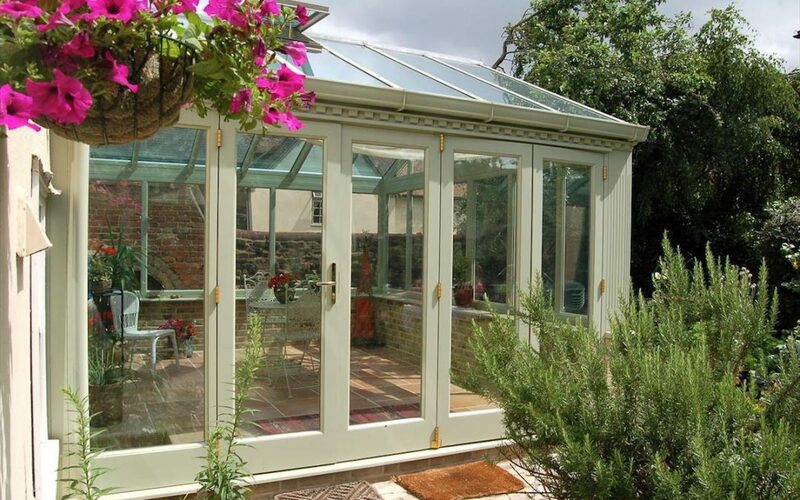 One of the best thing about this set of five sectioned folding doors, is their flexibility. Although the entire wall can be folded back to give unobstructed access to the garden, three of the leaves can also be left closed allowing the other two to be used as a set of French Doors. 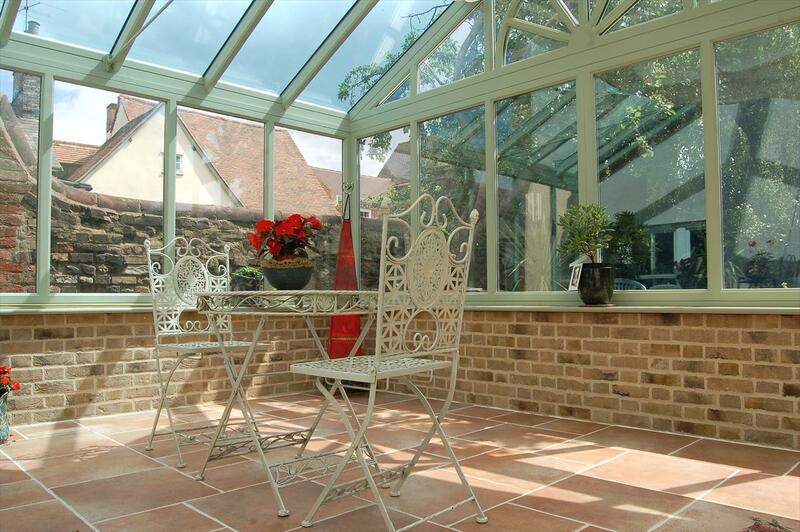 Who couldn’t imagine themselves sitting in this magnificent Bury St Edmunds conservatory extension enjoying the beauty of the old stone walls and garden beyond? Its simply stunning!